A Doctor Walks Into a Community..
For healthcare professionals or those on that path, it’s tempting to drop into a community abroad and start treating patients. The stark realities of poverty, lack of resources, and unaddressed illness provides an often disturbing (and therefore motivational) contrast to our Western frame of reference. We are often shocked and saddened. As a consequence, we want to help. An important question arises however, when we are students or even when we are credentialed professionals visiting a faraway community, what’s the best way to help? 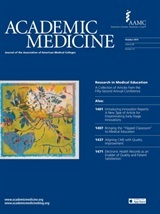 An article profiling Child Family Health International – CFHI’s Global Health Education Programs in the current online edition of the Association of American Medical Colleges’ journal Academic Medicine contrasts two interpretations of ‘helping.’ The article contrasts CFHI’s program structure to that of brigades. Brigades are short-term (often lasting one or two weeks) international activities that set-up clinics in parallel to or completely outside of existing health systems. These temporary establishments are meant to see many patients in a short period of time. Commonly, medications, often drug samples, are brought down from the home country of volunteers and dolled out to patients. The students writing the article draw an important contrast between the two definitions of ‘helping’ represented by CFHI Programs and brigades. 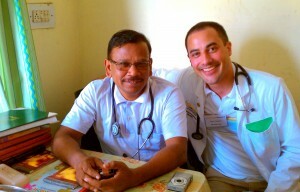 Brigades aim to ‘help’ by directly treating patients using Western physicians and students. But they do so often at the expense of follow-up and continuity of care. Brigades define ‘help’ in a very immediate sense. Contrastingly, CFHI defines helping as empowering local communities and using Western funds to develop and elevate the stature of the native health care workforce. CFHI positions local physicians, nurses, and community members as local experts, in a unique role to teach outsiders about their approach and insight. CFHI believes they are the sustainable solutions to global health challenges. CFHI’s definition of helping is perhaps more humble, believing we need to first respect and attempt to understand the complexities that underlie global health challenges, rather than trying to address these challenges with immediate auxiliary patient care. This admiration of local health care providers and the goal of first comprehending the complexities of global health disparities is fundamental to shaping the collaborative global health leaders of the future. Before we try to change a reality, we must begin to understand it. This understanding is afforded by CFHI’s Global Health Education Programs. This entry was posted in CFHI Model, Cultural Humility, Global Health, Global Health Education, Local Experts and tagged AAMC, Academic Medicine, cfhi, CFHI programs, child family health international, community empowerment, Cultural Humility, empowerment, Global Health, global health challenges, Global Health Education, global health education programs, Global Health Elective, global medical brigades, health brigades, health care workforce, health professionals, health students, helping abroad, Local Experts, medical brigades, medical electives, medical students, sustainable solutions, treating patients on October 14, 2013 by Jessica Evert, MD.